The Centre for Urban Growth and Renewal (CUG+R) is a non-profit research organization founded in 2009 with the mission to engage in cross-disciplinary research initiatives fundamental to achieving livable and sustainable urban, suburban and rural environments. CUGR.ca showcases both the research work of its founding partners and collaborators and, increasingly, the work that is unique to CUG+R as it continues to expand and evolve. CUG+R has undertaken a series of key research initiatives to build more resilient Apartment Neighbourhoods across the region. 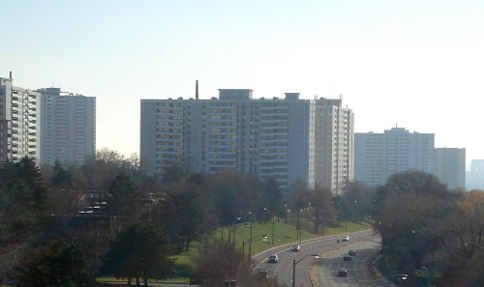 Key initiatives include Tower Neighbourhood Renewal in the Greater Golden Horseshoe: An Analysis of High-Rise Apartment Tower Neighbourhoods Developed in the Post-War Boom (1945-1984), prepared for the government of Ontario’s Growth Secretariat in collaboration with the Cities Centre at the University of Toronto. The Tower Renewal Partnership is an initiative working to transform Southern Ontario’s remarkable stock of post-war apartment towers into more complete communities, resilient housing stock and healthy places, fully integrated into our growing cities. webpage designed and maintained by william roderick macivor.